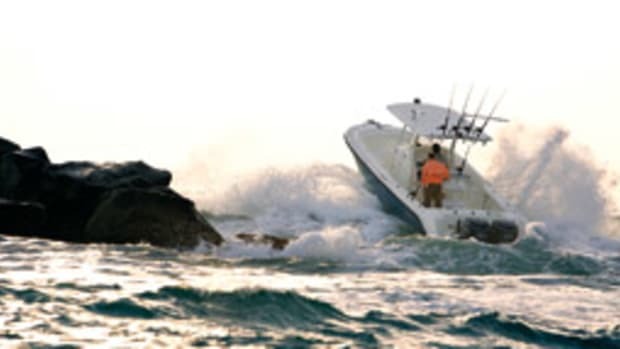 You have to throttle back a lot of smaller powerboats in rough water, but RIB builder Protector says its Center Console 25 is not one of them. 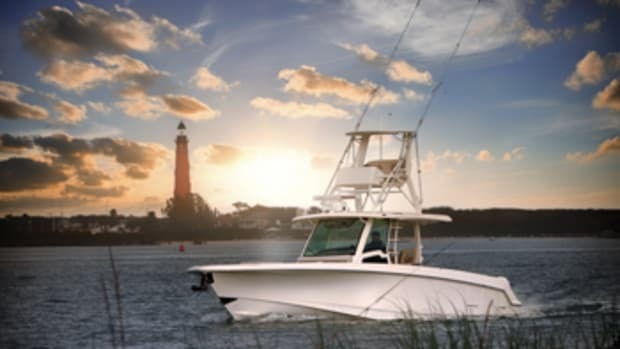 The company has introduced a new version of the 25-footer with a redesigned transom that allows it to be powered with a single outboard, Silverman says. 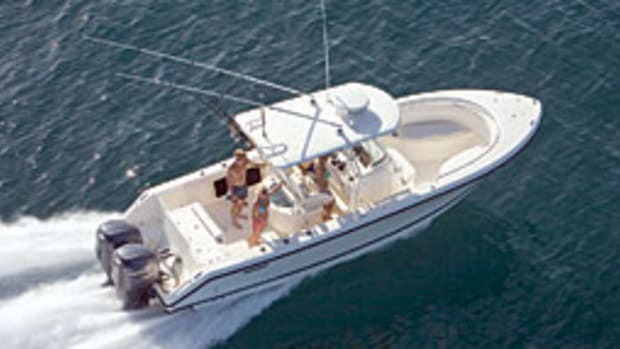 With a 250-hp Mercury Verado, the boat cruises at 34.5 mph and gets about 3 mpg. 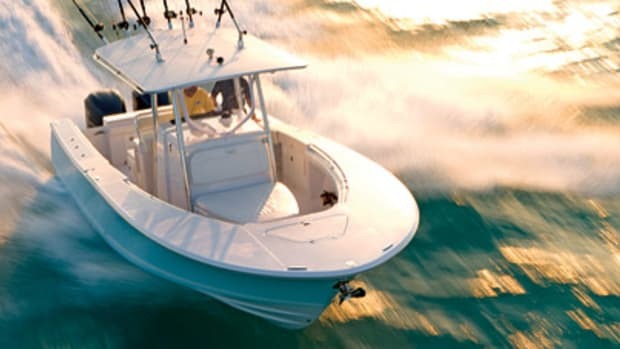 That’s about a half-mile per gallon better than with a twin 150-hp setup. 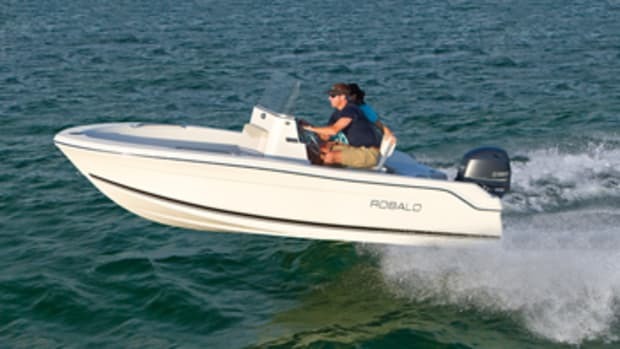 Wide open, the lightweight RIB tops out at 56 mph. 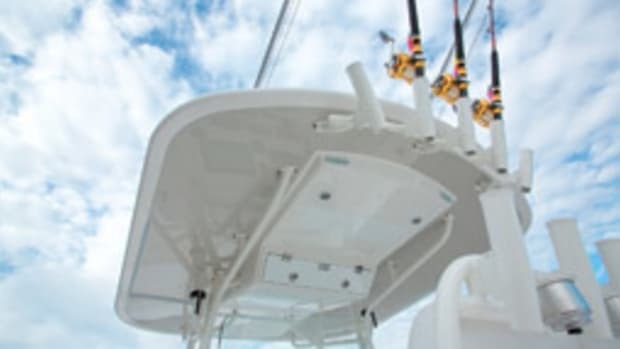 “With the redesign, it’s now a more fuel-efficient Protector, and it’s a better dive boat and swimming boat,” Silverman says. 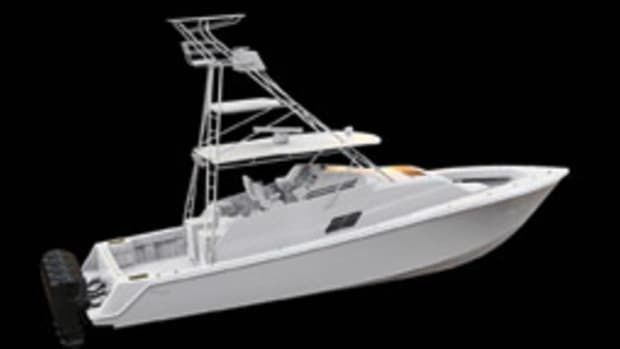 Both boats ride the same hull, with 23 degrees of transom deadrise and a 60-degree entry, and the company will still offer the twin-engine version. 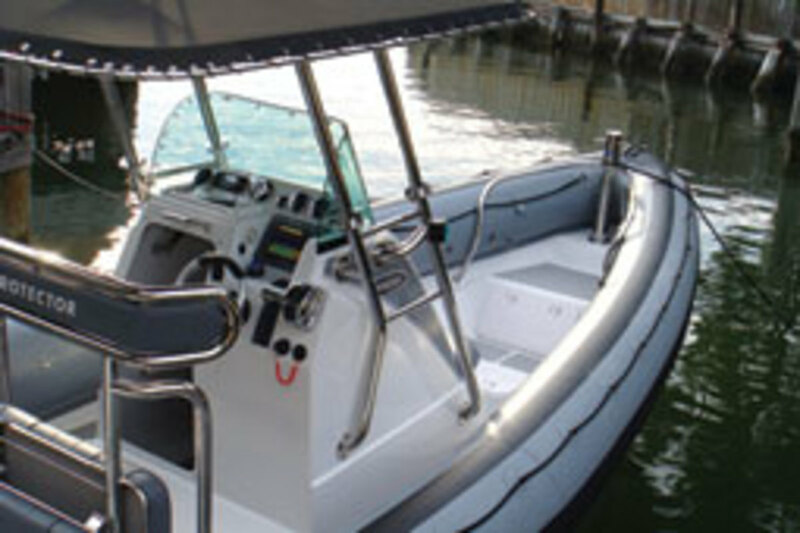 The boat comes with a removable stainless-steel and canvas T-top, a trailer, a stainless tow/ski post, an aft-facing cockpit seat, waterproof electrical panels, twin-engine batteries and one house battery. 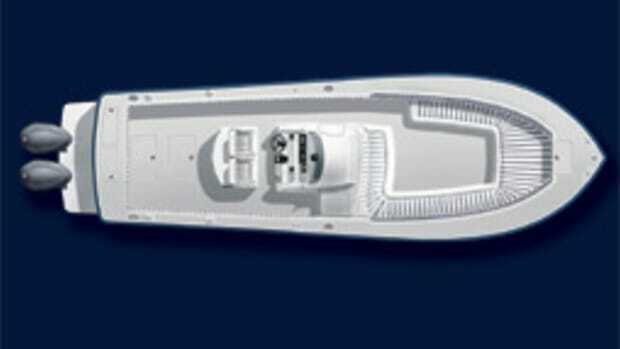 A windlass, teak decking, boarding ladder and freshwater washdown are optional. 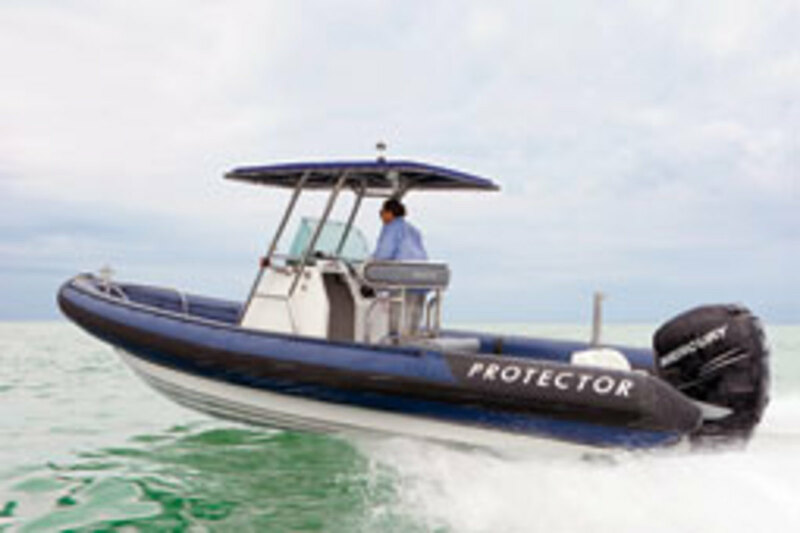 Click here to find more Protector boats.